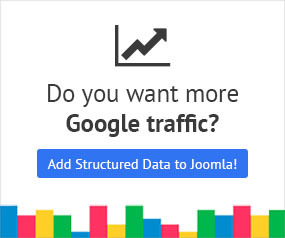 Google Structured Data integrates perfectly with VirtueMart and enables you to add structured data and specifically the Product Content Type to your VirtueMart products. Find the "VirtueMart" Integration in the list and make sure that it is enabled with the green checkmark indicator as shown in the screenshot below. 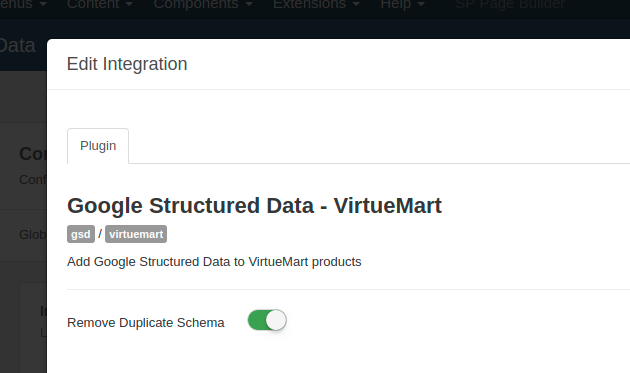 The Virtuemart integration comes with a setting called Remove Duplicate Schema. If enabled, the plugin will try to detect and remove the extra and incomplete Product Schema generated by the Virtuemart component. If the extra schema is successfully removed, the Google Markup Tool should be reporting one Product snippet. Otherwise, if you see 2 Product snippets the auto-removal didn't work and you'll need to remove it by yourself. Let's see how you can add the Product Content Type to VirtueMart products. 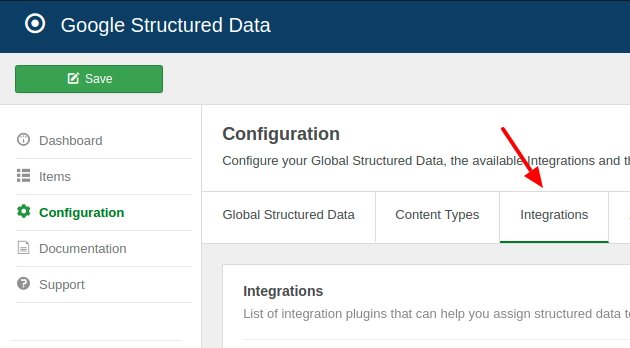 From the Components menu, choose Google Structured Data, nagivate to the Items section and click on the New button to create a new Structured Data Item. On the next page, you will see the following 3 options where you will need to select the Product Content Type and the VirtueMart Integration as shown in the screenshot below. Product Target specific VirtueMart Products only. Category Target all products assigned to specific VirtueMart categories. Remember, in case you don't enable any publishing rules, the structured data will be generated on all VirtueMart products. 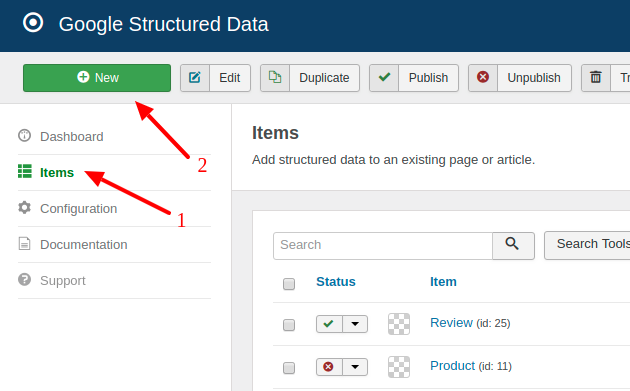 The Structured Data is generated only in the Product detailed page view where a single VirtueMart Product is displayed. The Category or List views are not currently supported.